In any debate on the pros and cons of LNG power for the likely. At Carnival, we took the decision to prepare for that. 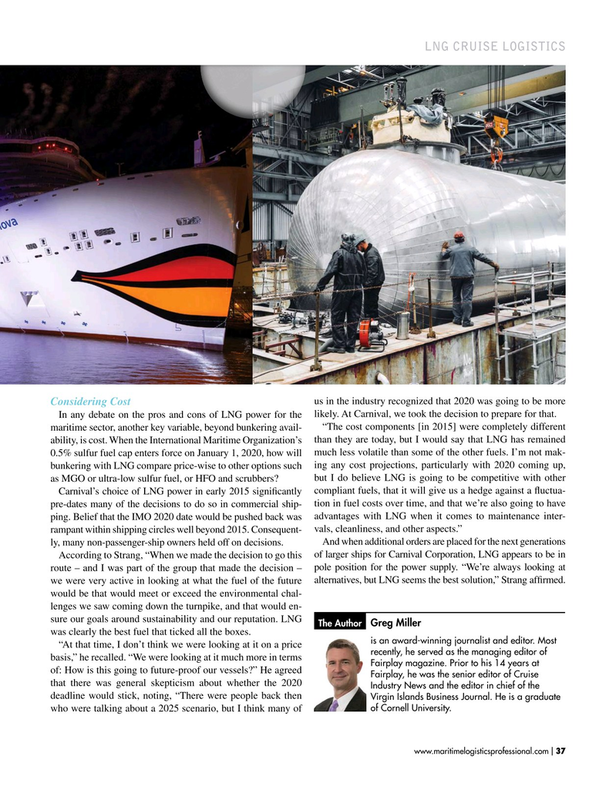 According to Strang, “When we made the decision to go this of larger ships for Carnival Corporation, LNG appears to be in route – and I was part of the group that made the decision – pole position for the power supply. “We’re always looking at we were very active in looking at what the fuel of the future alternatives, but LNG seems the best solution,” Strang affrmed. The Author was clearly the best fuel that ticked all the boxes.